Too rainy to enjoy the beach? We can help! Not keen on roller coasters? Your ride with us will be smooth. Over the crowds at the shops? Relax with a beer or two. At Hop On Brewery Tours you will get to drink brews at unique local venues and we drive you from place-to-pace in our air-conditioned van - what can be better than that? 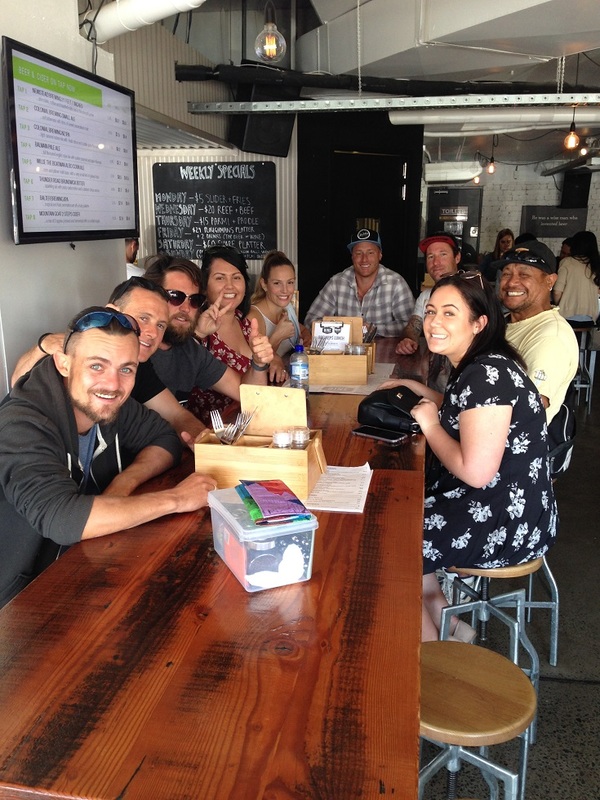 Each half-day tour includes a visit to, and tasting paddle at, two of the breweries (Black Hops, Burleigh Brewing, Lost Palms Brewing or Balter Brewing), as well as a stop at a local craft beer bar for a tasting paddle. Don't forget to bring a photo ID with you. All your friends may know you're of-age, but it's only the first time we've met, and we'd hate for you to get turned away from any of the breweries by looking too young to appreciate good brews. Please note there is no drinking on the van. Please note that we are visiting working breweries and it’s suggested you wear closed-toe shoes so you don’t miss out on any of the fun. We will try and catch the brewers in action but that can’t always be guaranteed; keep an open mind on the day because no matter what or who we see, the beers are always epic. Sometimes the itineraries will change at a whim; this may be because of traffic, a last-minute decision from the brewery or any number of things, so we ask for your patience and flexibility.